The game of Snakes & Ladders was created by the 13th century poet saint Gyandev. It was originally called 'Mokshapat'. 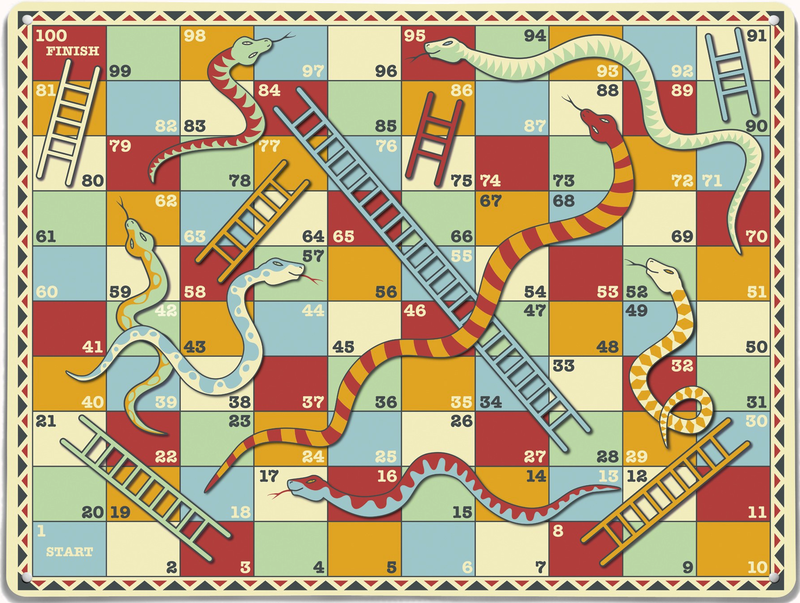 The ladders in the game represented virtues and the snakes indicated vices. The game was played with cowrie shells and dices. In time, the game underwent several modifications, but its meaning remained the same, i.e. good deeds take people to heaven and evil to a cycle of re-births. Modern days it was called as Ludo game.